Maryland, USA, 1999 – 2000. 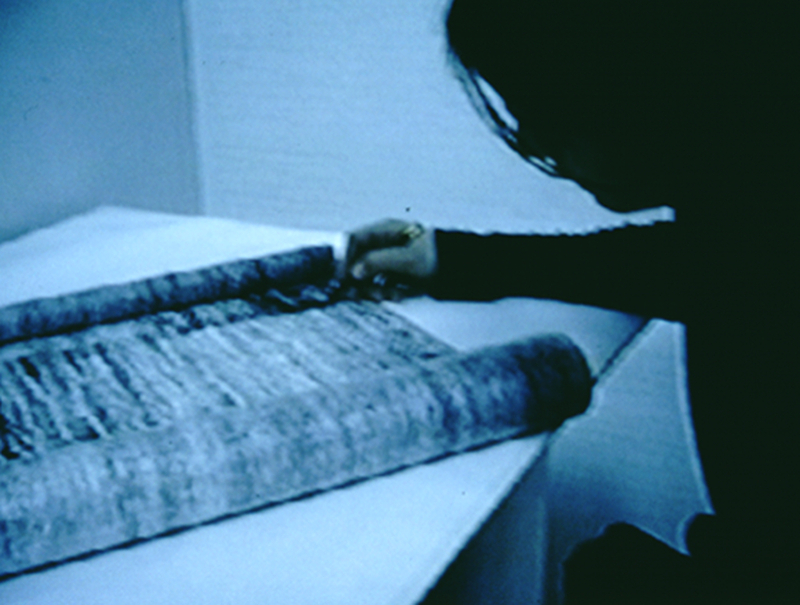 This video installation comprises a video and a drawing. The video shows myself writing prayers in a scroll. [Precarious : precaria, prayer, to pray].